From the current office (that is not expected to last much longer) to the current home (which is… longer, at least, than the office, which we’ll be moving from he week after next, if all goes according to plan) there are about 73 routes I could take to get the 4.7 miles to my house. I usually take the most direct: down the highway to the exit for the road nearest the house, to the neighborhood, to the house. If I need to pick up some groceries, or diesel, or pop by the pharmacy, or drop off/pick up dry cleaning, I take one of two alternate routes, depending on where I need to stop: there’s no need to go into details. If I leave after 3:30pm or so (one of the advantages to my early start time is an early end time), the usual route is packed with other people who take a similar route home, so I take an alternate route. This route runs between one of the backsides of the airport and an agglomeration of distribution centers, fuel terminals, historic sites, dog/disc golf/city parks, apartment complexes, neighborhoods, and other stuff. I’ve often wanted to stop and wander around some of these, but I’m always more interested in going home and seeing my darling adorable wife. 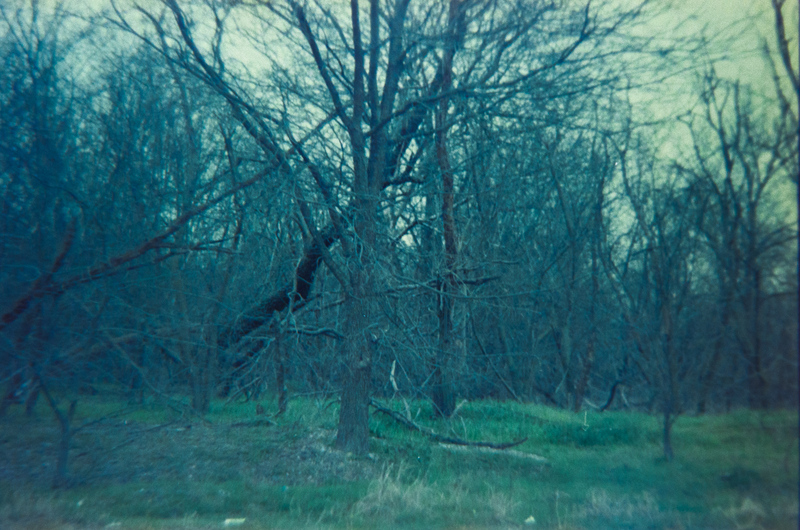 These were taken through the passenger window—I think I opened it for these at least: I usually forget—in a little area behind some nondescript office parks near my current one and between the stretch of nondescript office parks and the backside of the East side of DFW. This area is just waiting to be turned into a CVS and a gas station, or a 7-11 and a car wash, or a little strip mall with a dry cleaner, a donut shop and a couple of empty storefronts. Until then, it looks a bit like some spooky woods that might extend for miles, that you might never be able to find your way out of, or that a scout troop might camp in over a weekend, or that some teenagers might use for some teenagery. But it’s neither dark nor quiet enough, nor large enough nor near enough to housing to be any of those things: it’s just a bit of undeveloped nothing behind a collection of nondescript office parks, near the backside of the airport.